Koshys Institute of Management Studies was established in the 2003 with affiliation to Bangalore University in Bangalore, Karnataka. 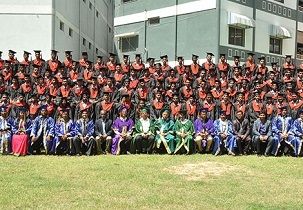 It is one of the prime institutes for commerce & management education in India. The institute is accomplishing every set of milestones each year in sphere of education since its inception. Various UG & PG courses in the arena of management & commerce are offered by Koshys like B.Com, BCA, BBM and MBA. Online Mode: The candidates can visit the official website of Koshys and register themselves. Later can fill the application form by clicking the link given in official website and submit it. Offline mode: The candidates can download the application form given in the official website or can also get it from the institute and duly fill it with all the required information. Hostel: The institute has separate hostel provided for both boys and girls with comfortable & ideal rooms and calm atmosphere to encourage learning process. Chapel & Prayer Hall: The institute has dedicated prayer hall & chapel for the need of consolation in religiousness & prayer. Commerce & IT Lab: The lab in the institute’s main objective is to assists as a space to go further than textbooks & classrooms learning by breach of boundaries. 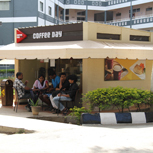 Cafeteria: The institute has a Coffee Day outlet inside the campus & a cafeteria aiding nourishing & aseptic food at most affordable prices. Gym: As to the saying ‘Healthy Mind resides in Healthy Body’ the institute has a gymnasium which is well-equipped with all the necessary amenities. Seminar Hall: High-Tech seminar Halls with spacious & Students-friendly atmosphere is used for presentations, meetings & GDs. WI-FI Campus: The campus of the Institute is fully supported by Internet Broad band to help the students & staffs to stay connected as long as they wish. Are you Interested in "Koshys B-School"? Please provide the following details.